In 1979 Boyd Nurseries began with a few hundred 6” Norfolk Island Pines growing in the shade of trees on the property. From that start, Bill and Tracey Boyd gradually added shade houses and expanded the nursery to cover their full 10 acres on Military Trail in Lake Worth, Florida. For 25 years at the Military Trail location, Bill and Tracey worked to gain a reputation for growing top quality plant material and offering excellent customer service. In 2004, the Military Trail property was acquired by the school district through eminent domain procedures. 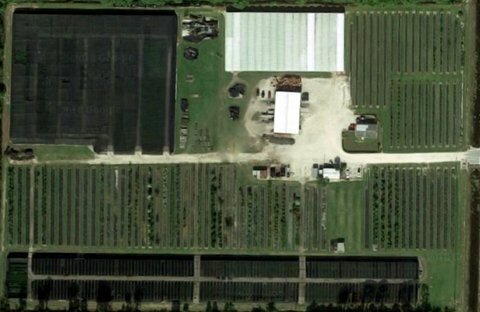 The nursery was moved about 20 miles northwest to its current location in Loxahatchee FL. At which time a selection of flowering trees has even been added for the landscape trade. Boyd Nurseries has become a major supplier of multiple varieties of shade grown Sansevieria, Dracaena, and Palms for the interior foliage industry shipping them throughout North America and The Caraibbean.